As human as it gets. The rest of the world knew her as Sunshine but to Adam she was Marybeth, the love of his troubled adolescence. Behind the alter ego, beyond the music and the fame, Marybeth meant everything to Adam; and when Sunshine died she took Marybeth with her. Adam’s life fell apart. But what if he could bring her back? What if his memories could help resurrect Sunshine in a clone body? He would give anything, wouldn’t he? But will it really be Marybeth? Will having her back take the pain away? I first happened upon Lisa A. Koosis when editing for Andromeda Spaceways. Her story “Soul Blossom” was sad and beautiful. As soon as I read it I knew hers was a name to look out for. 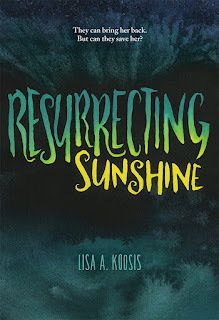 Resurrecting Sunshine returns to the same themes as “Soul Blossom” – loss; grief; hope beyond death – but gives them a book-length treatment, aimed at teens but no less profound in the telling. As an adult reader I found myself intrigued, drawn in and then taken by the story’s flow. (As a reviewer I’d usually try for some kind of simile at this point, but it feels wrong; Koosis’s writing calls out to stand by itself.) 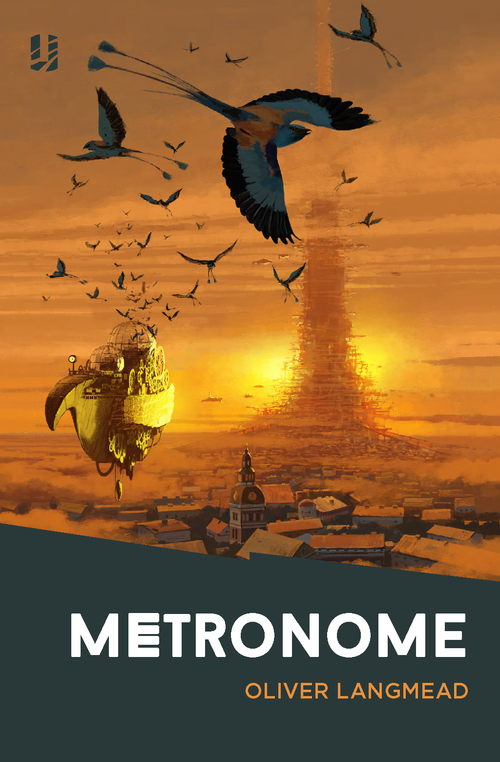 The novel is perfectly paced. 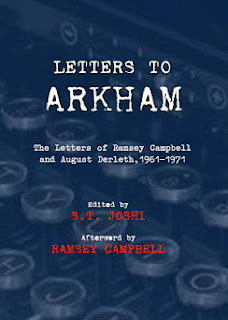 I read it in three sittings, each longer than the last yet seeming to go faster. 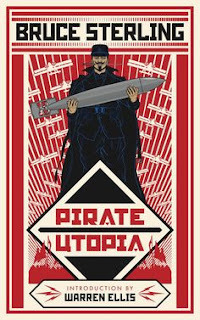 There was a sense of inevitability to the narrative, but not predictability. When the ending came, it brought closure. 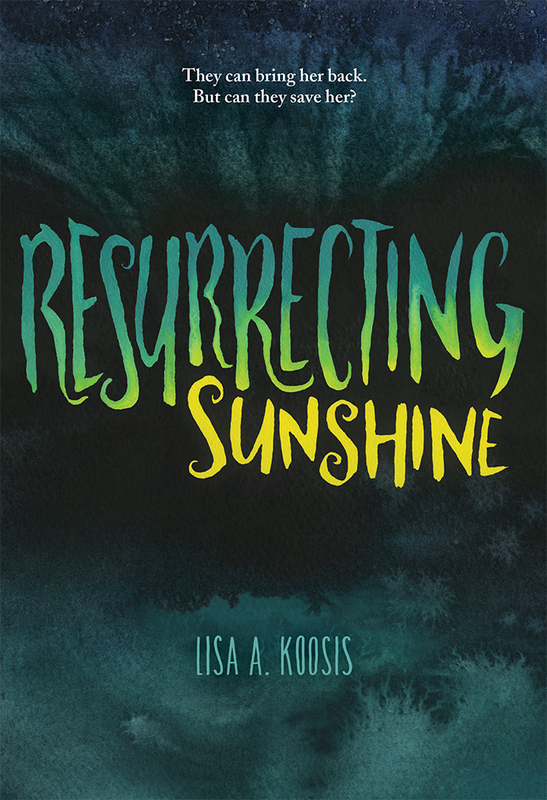 In her acknowledgments Koosis describes Resurrecting Sunshine as “the book that would not die”. This suggests also a book that didn’t want to be born; a story that came but grudgingly into the world; and yet, whatever difficulties it posed the author, the end result is seamless. In fact, it is Koosis’s obvious investment in her work that makes it so compelling. Underlying the spec-fic “now” tale is a heartfelt backstory whose gradual emergence brings a depth of emotion so lacking in most teen novels. All the characters feel genuine. They’re not just there to tell a story; they’re living through one. And wouldn’t you do anything? Well-choreographed scares without the long wait. Watching Annabelle: Creation, the latest installment in The Conjuring (2013) universe, is kind of like going to an amusement park with thrill rides. While you’re waiting in line, not much is happening. These are typically the scenes in which characters are talking. But then, there are the times when you experience the exhilaration of the ride. In this film, directed by David F. Sandberg, it’s when you’re looking into a dark space, focusing on an inanimate figure, or hiding with a character as something approaches. At both the park and the theater, the overall experience depends on how long the lines are. 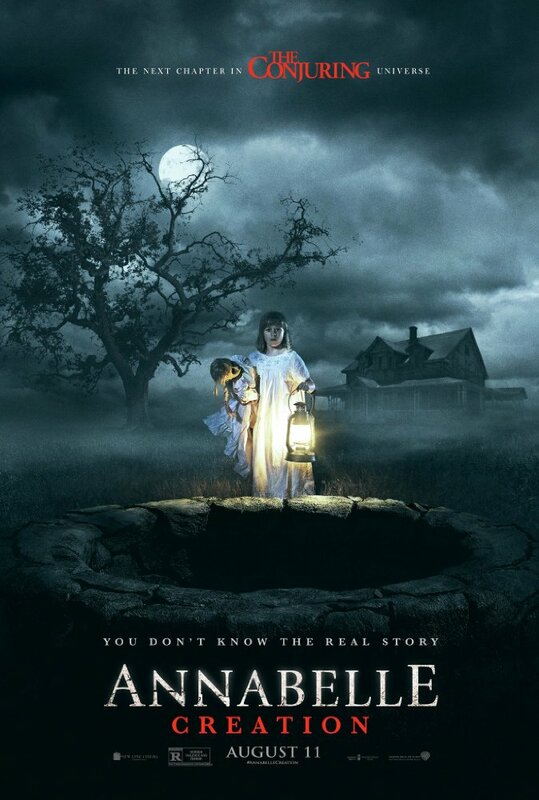 Fortunately, unlike its immediate predecessor Annabelle (2014) and more like The Conjuring, the pre-prequel Annabelle: Creation doesn’t make one wait long to get on the rides . . . and there are quite a few. The film takes place in the mid-1950s. 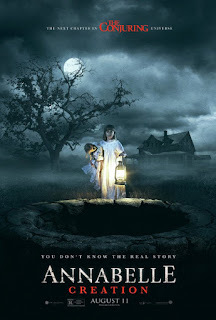 Twelve years after their daughter Bee dies, doll maker Samuel Mullins (Anthony LaPaglia) and his bedridden wife Esther (Miranda Otto) allow a group of orphaned girls and Sister Charlotte (Stephanie Sigman) to take up residence in their rural home. The girls find Bee’s creepy-looking doll Annabelle, which was crafted by Samuel. The majority of Annabelle: Creation consists of the girls, especially the physically disabled Janice and her friend Linda, wandering the home and getting freaked out. Most of the film’s attempts at character-driven drama and relationship exploration end up rather dull and clichéd. For instance, Sister Charlotte takes Janice’s confession, or Janice and Linda engage in overly mature dialogue about how they’re looking out for each other. One exception is LaPaglia’s Samuel Mullins, the tight-lipped bereaved father. In one scene, his attempt to bond with Janice shows how insensitive and volatile he is. In another, he stops outside the girls’ bedroom and, hammer in hand, stares at them for a bit too long. But all this is no more than a means to pass from one scare scene to the next. That the entire story takes place at one homestead testifies to the filmmakers’ skills—they know how to tweak lighting, prop placement, and sound (or absence of it) to keep the viewer on edge. Though this film does not instill the lasting terror of some of the last couple decades’ scariest pictures, its abundance of jump scares may evoke more screams. Read Douglas’s review of The Conjuring or The Boy (2016), another recommended film in the creepy doll subgenre. 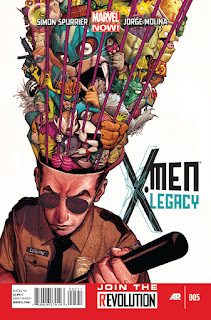 This twenty-four issue series, which ran from 2012 to 2014 and is available in its entirety to subscribers on Marvel Unlimited, as well as in four collections, tells the story of David Haller, the son of Professor Charles Xavier and an Israeli diplomat. He is known to the world at large as Legion, and though he isn’t keen on that name (he’d be really annoyed that it’s the title of the new television show based on the comic), it accurately reflects his powers: like Crazy Jane of the Doom Patrol, he has many split personalities, each of them with its own powers. When he’s in control, he can use those powers. When they’re in control, the results can be disastrous. This series begins at the point in Avengers vs X-Men when something terrible happens to Professor Xavier at the hands of one of his friends, and that totally shatters David’s control, as well as giving rise to a malignant and powerful new personality that resembles his father. Over the course of the comic David will try to re-establish control of his own mind, take a pre-emptive approach to mutant hate crimes, start astral dating Blindfold of the X-Men, and try to prevent an apocalyptic prophecy of his future from coming true.